Spring is here, and with it comes even more fun in your park! With this update we are pleased to introduce some exciting new PxP offerings. Below you’ll find details on our brand-new Asia pack and new additions to our Sci-Fi pack. We’ve also included some Easter pieces to celebrate the season. 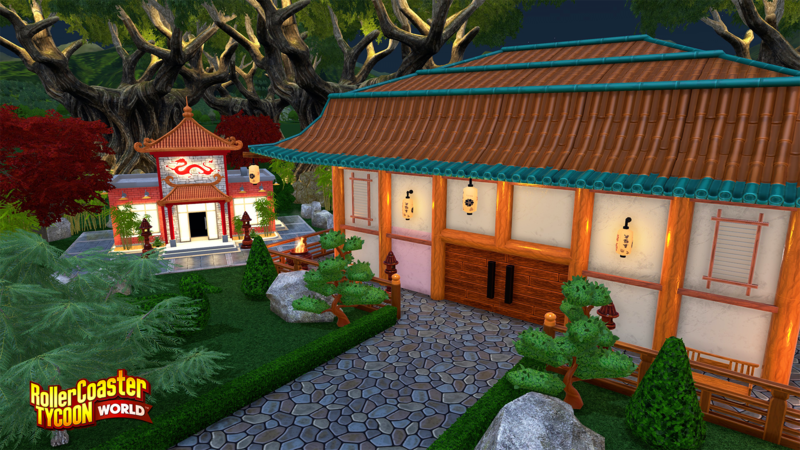 Asia and Sci-Fi pieces can be found within the PxP menu in-game, and Easter items are split across the scenery menu. As usual we also have a number of fixes and optimizations as part of this update. 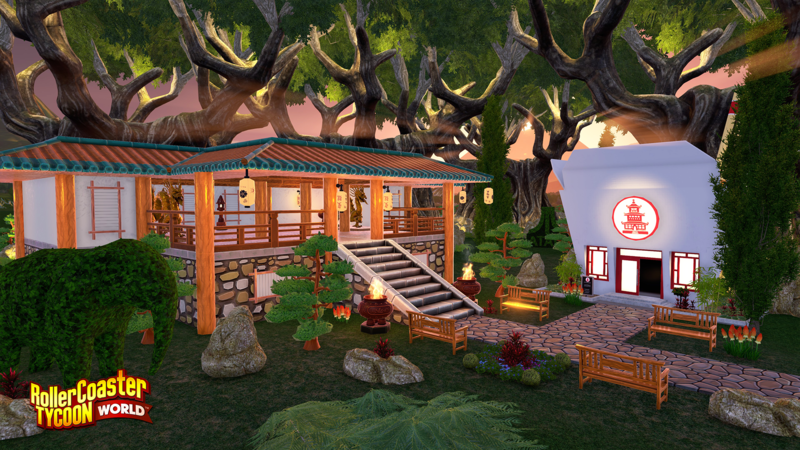 Read on for more details, and thanks for playing RCTW! Crash: Game crashes when user places some PxP pieces, then placing some PxP stalls and going back to the PxP menu. Crash: A nulref was observed hanging the game on the Main Menu. Crash: Game can hang on for several minutes on the Main Menu. General: Move loading weight away from the Main Menu. Main Menu: Asset creation for Main Menu. VFX: The water PxP VFX do not show up if the game is paused before selecting VFX on. VFX: Split or remove the ground effect from the dripping water effects. Thanks for the update, although I would have expected more bug fixes and especially Transport and more rides including underground terrain. More additional scenery assets and some bug fixes.... Are you ever going to add game features or the content that is missing from the game?? Sorry but this game is nothing more than a glorified mobile phone game for pc. RCT Touch is basically the slimmed down version of this version with ingame purchases. And still no water rides, transport rides or underground building. Well here's another pointless "update". So disappointing, but not unexpected. Yet more assets (which we could easily add ourselves) and virtually nothing fixed. In fact fewer fixes for this update than the last. And yet another broken promise - No transport Rides. Early 2017 is now over, the first quarter has now passed. That is what many of us have been saying for months, but yet some people keep the faith. The signs have been there for a long time that they more or less ceased development. The first major sign is lack of communication and denial when it comes to features that had been promised and then the second one is the fact that their internal dev build is not updated at all between these small updates, while normally it would be updated several times a week or nearly daily. And then on top of this, it was something many of us predicted in advance, as this is exactly the same kind of treatment all their other major IP's/game franchises recieved after release. My bet is that they made a deal with nvizzio to keep one single guy working on these assets while the rest of the team works on the mobile game. I have a question for Atari: where are the transport rides for RollerCoaster Tycoon World that you promised to us back in June 2016?